Hoboken, NJ, June 17, 2017 – We are pleased to announce that the Burgiss Manager Universe has been updated through Q1 2017. 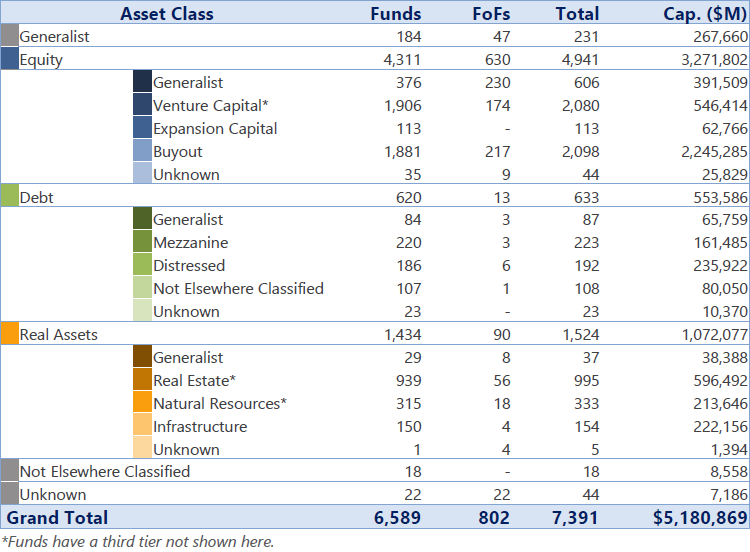 Burgiss Manager Universe has grown to include nearly 7,400 funds representing nearly $5.2 trillion in committed capital across the full spectrum of private capital strategies. The Burgiss Manager Universe is a research-quality database that includes the complete transactional history for nearly 7,400 private capital funds. It is representative of actual investor experience because the data is sourced exclusively from limited partners, which eliminates the natural biases introduced by sourcing data from general partners.